Deluxe Scientific Surgico Pvt Ltd Known as DESCO INDIA is manufacturing Medical Scientific & Hospital Furniture under DESCO BRAND since 2005. We are the fastest growing manufacturing company in India. We started as a small trading company in the name of Deluxe Scientific Surgico from Punjab and finally got incorporated in 2005. The trading company was started in 1966 by Mr R.K. Sabharwal who is the founder and Managing Director of Desco Brand and was later joined by our Director Mr Rohit Sabharwal in 1998. With hardship and innovative ideas of our Director Mr Rohit Sabharwal, the company is growing at fast pace. We value client and are moving ahead with trust. Mr Rohit Sabharwal with his dynamic personality and business strategy has really taken DESCO INDIA as No 1 Medical Scientific & Hospital Furniture Manufacturing Company in India. His product Knowledge & leadership quality is a big asset for the company. His interaction skills and friendly nature helps in building good relations with people. His aim is to do transparent business and maintain long term relations. DESCO INDIA has experienced young and dynamic staffs that specialize in their fields. Desco India has a strong control on manufacturing capabilities. Other than our routine products, we specialise in designing & manufacturing products as per the client’s specific requirements. This research & development quality really gives us an upper head to build client’s confidence in our company. Desco India priority is to deliver quality Medical Scientific & Hospital Furniture which meets our client’s need and expectations. We do not compromise on the quality of the product and keep a strict quality control check on raw material to manufacturing to final packing and dispatch. Desco India aims to stay in personal touch with the clients. We actively participate in medical trade fairs all across the globe. Our Marketing team update our clients and on internet regarding our upcoming events on regular intervals. 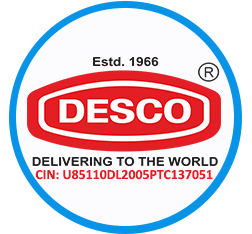 Desco India is having a complete control on the product pricing from raw material, manufacturing, and packing till transportation. We take strict check on the pricing at each stage which results in best price of the final product. Desco India is also involved in Domestic Sale. Due to competitive pricing, we manufacture Medical Scientific & Hospital Furniture for many companies in India and supply them with neutral and OEM Brands. Desco India is currently exporting Medical Scientific & Hospital Furniture in 92 Countries with a long list of satisfied clients. We have been recognized as Star Export House Company by Government of India for Export of Medical Scientific & Hospital Furniture. We exports Medical Scientific & Hospital Furniture in OEM brands also. 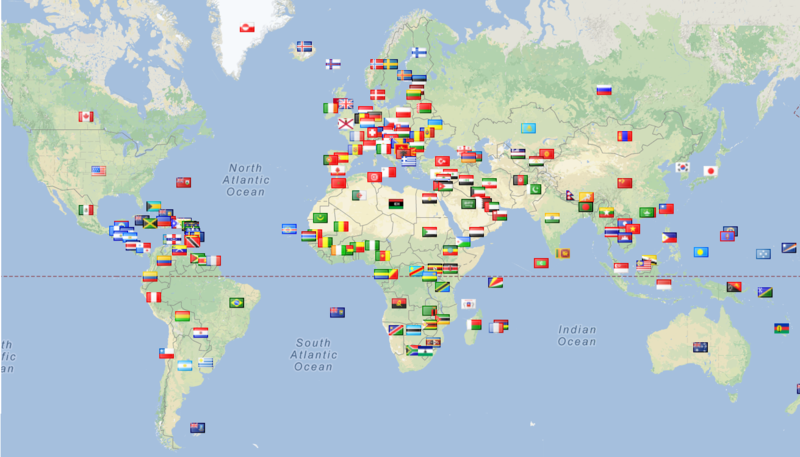 Desco India has a worldwide network for distribution of Medical Scientific & Hospital Furniture. Desco India vision is to deliver quality Medical Scientific & Hospital Furniture to the end user at best prices. Desco India vision is to maintain long term transparent relations & trust with the clients. Desco India vision is to innovate & develop new models in Medical Scientific & Hospital Furniture. Corporate Office: Desco India corporate office is in East part of New Delhi India. Warehouse: Our warehouse is less than 1 Km from the Inland Container Custom Warehouse. This helps us to save time in processing the custom formalities and keep a close check on the Export Stuffing. Manufacturing Facilities : Being New Delhi as the top 10 cleanest and greenest cities of India, we have our manufacturing facilities in the nearby states.